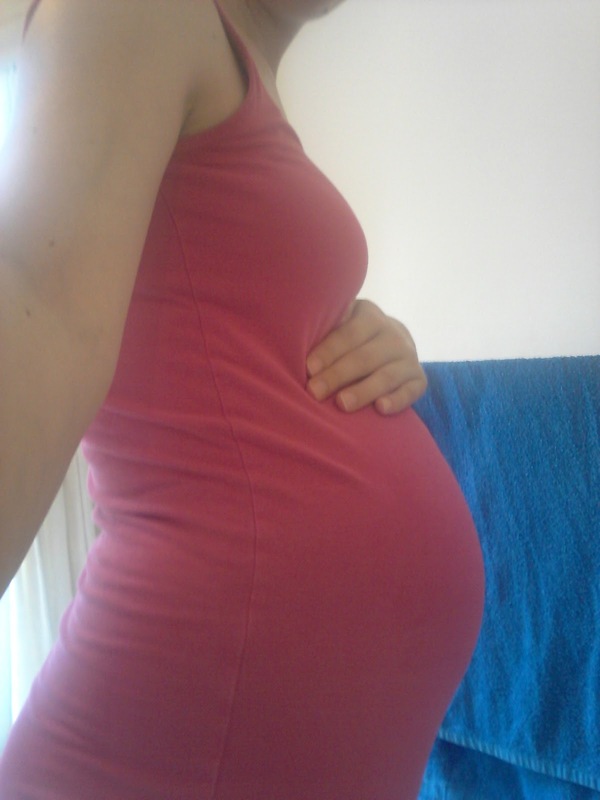 Love Being a Mummy : Pregnancy week 28! I am 29 weeks today! It has flown by, properly as I have a 3year old and a 20 month old to contend with! My first pregnancy dragged as I worked and to be honest I felt bigger and more fragile. This time I actually forget i'm pregnant at times until little man kicks and he reminds me! Fighting for my attention already!! This is my third baby but I've not got a big bump, luckily I know I carry smaller babies and have a small bump. The first pregnancy I was gutted as I wanted the whole world to know i was pregnant! This time I am thankful that I still am comfortable when asleep and some of my non maternity clothes fit me! We have decided on a name but will keep it secret until he is born, I mean he could come out a girl if scan was wrong! Stupidly a few months ago Annabelle heard me say I think he should be called Jack but decided against in the end. Poor girl is certain he is Jack! As i'm prone to anxiety and pregnancy seems to be the time it starts again I have been trying to control it! Luckily came across hypnobirthing. I found a free mp3 in relaxation and it has helped so much! I will write a seperate post/s as its so interesting.